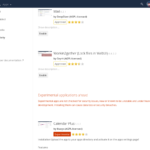 Some weeks ago we published a blog about changes for developers in ownCloud and promised to talk more about the app store process this week. 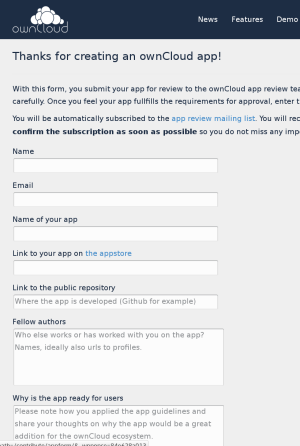 In this post we explain the process – how to get your app in the ownCloud app store and how to get it approved for easy installation or update. 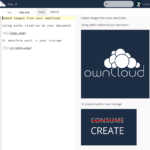 ownCloud 8.1 introduces the ability for users to seamlessly install Experimental apps, that is, all apps from the online app store on apps.owncloud.com from the built in App Store app. The video below shows how this works. The big question for app developers is: how to get an app to the approved state so users don’t have to enable the experimental setting? 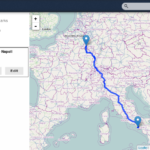 For this, the app will have to be reviewed by the ownCloud community, to check if they fulfill certain requirements. These are related to how the app is developed (actively maintained in an open, version managed repository), how old it is and who develops it. Moreover, we will have to check the code for security issues. The exact requirements for each label are described in this documentation page. Getting the process going requires you to have a good look at the documentation mentioned above and to see if your app fulfills the requirements for getting approved. If it does, go to this page and fill in the form. Be complete and accurate, this will help us get this done quickly! Submitting the form sends an email to our app review mailing list with your app information and a separate subscription request for your email address. To complete the subscription, click the confirmation link in your inbox! Then, on the mailing list, we can ask follow up questions and discuss the app. This is a public process, which means you’re encouraged to help review other authors’ apps. Once the reviewers agree, the app will be approved. Note that updates will have to go through the same process, though we can usually do it faster. Becoming an official app follows the same process, but the bar is significantly higher. In general, decisions about making an app official are most likely to be made at meetings or hackathons. This is it – getting your apps to an approved state in the app store. Time to get started! My app might not be perfect, however it is definitly not experimental. The requirements to get it approved is a hoax. Does this make an app experimental? No!, maybe it just isn’t a great app. 2) Developer trust accoring to owncloud: The developer(s) is/are known in community; he/she has/have been active for a while, have met others at events and/or worked with others in various areas. 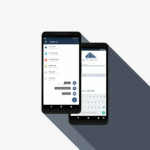 I have 2 kids, owncloud community is never in the netherlands, and i dont have the time or money to go to berlin for a small talk to get my app approved. Great call guys, nice way to demotivate people. probably something you should give as a feedback to the developers mailinglist. Note that until we made these changes, your app simply would not show up at all – NOW users have at least the option to install it from the app store, provided they trust you. By approving an app we essentially vouch for a developer and their app. We don’t want to be responsible for spyware and other things, so we will need to have some level of trust in developers before we approve their apps. I hope you understand – this is the internet and anybody can impersonate anybody. 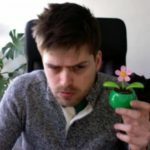 That is why we mention that, ideally, we’ve met a developer in person or at least that he/she is known in the community and has been around for a while. Of course, looking at code is the best way – but there is just no way we can review every piece of code written by every app developer for security issues before it gets approved. This is a volunteer effort and unless 20 people (whom we also have to trust!) step up to read code of other people full-time, this is just not realistic. So we have to rely on a combination of personal relationships with developers and random code checks. You don’t have to be at the conference in-person to get to be a trusted developer, plenty of developers have been active in and around ownCloud for a long time without ever meeting somebody and their apps get approved just fine. I hope this alleviates your concerns a little but if it doesn’t, please contact me directly or our developer mailing list at devel@owncloud.org!! 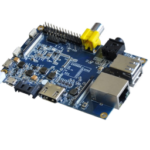 ownCloud 7 Review Contest: Win a Banana Pi!